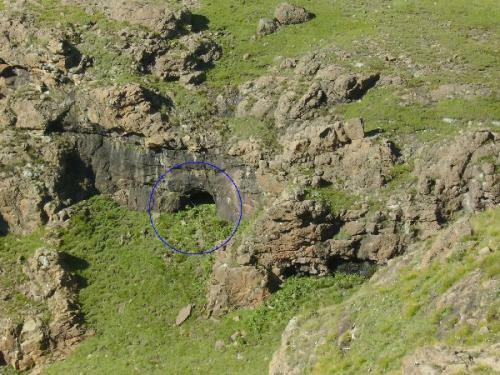 The cave is situated just below the top of Hlathimbe Pass (North), and can be reached either from the escarpment or by climbing Hlathimbe Pass (North). Hlathimbe Cave (North) was formed when a void formed by gas released during volcanic activity was eroded away to expose it to the outside world. 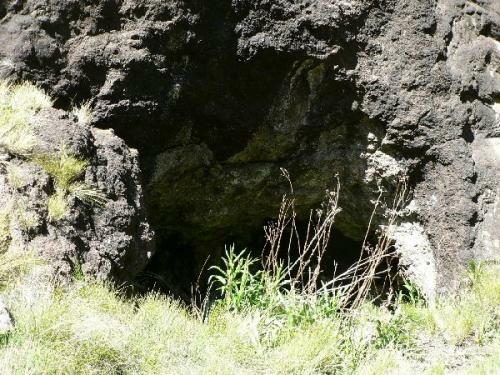 It therefore has the appearance of a proper cave rather than just an overhang - something which is common to most of the escarpment caves, which were nearly all formed in the same manner. The sleeping area is almost perfectly level, but damp in summer. It can easily accommodate 4 people, but if you are prepared to sacrifice some comfort, it can provide shelter for 6 provided the weather allows them to use the area closer to the entrance. 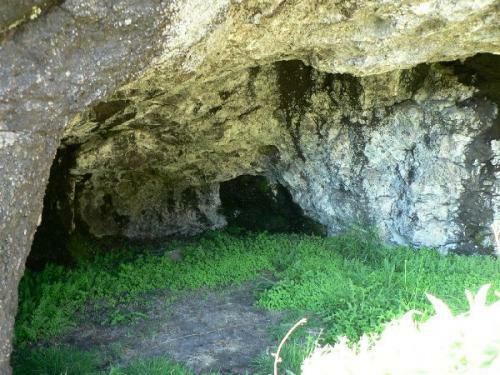 There is no running water in the immediate vicinity of the cave, and you may have to venture inland from the escarpment to find any. Alternatively, you can climb above the top of the pass and explore for water in the cut-back (gully) just north of the cave. Without any running water nearby, there are also no pools. The cave faces east across Hlathimbe Pass (North) onto the Hlathimbe Buttress and its environs, providing a spectacular outlook.